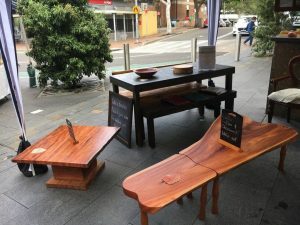 Following a lengthy career as an Engineering Designer Ross embarked on a new journey in 2012 following his passion for eco-design, principally in wood. 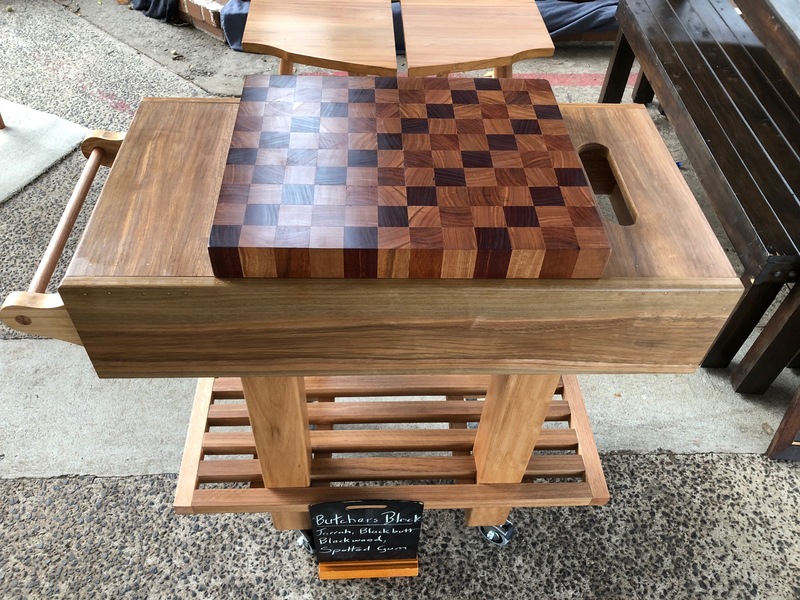 Ross designs and fabricates bespoke furniture such as dining, coffee and hall tables, piano stools, blanket boxes and butchers blocks, to name just a few. Other products he makes include chopping and serving boards, tealight holders, bowls and wood carvings. Ross also repairs, restores and rejuvenates wooden furniture. 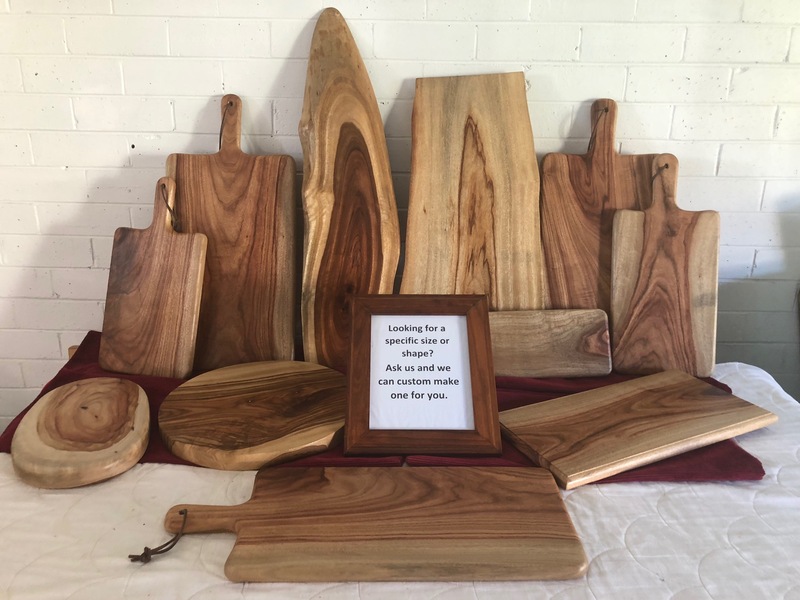 Inspired by Ross’s furniture making, his wife, Julie, undertook a course in upholstery and now upholsters dining and casual chairs as a supplementary service offered by Wood-U-Like. Julie also assists Ross in furniture design. Wood-U-Like is committed to a sustainable future for furniture by the reuse of materials for the manufacture of new items. 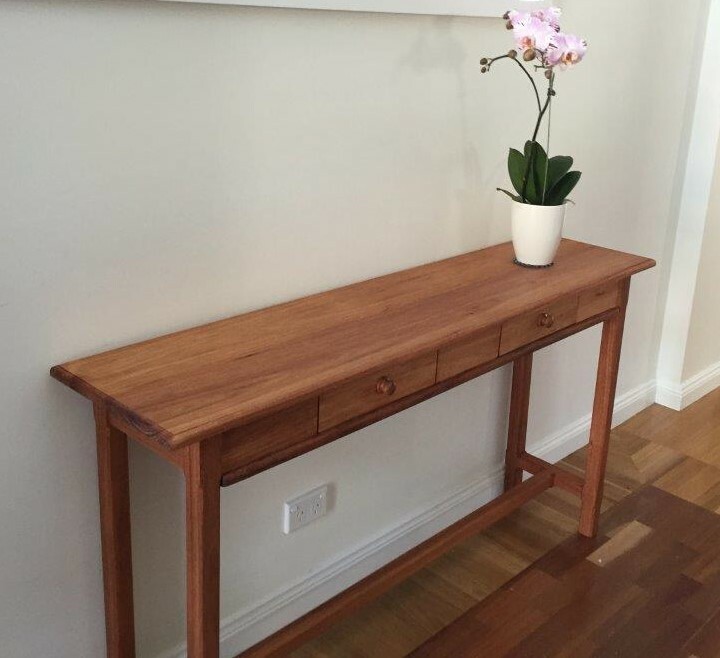 Where possible timber is sourced from recycled outlets or existing furniture. If this is not possible, then the timber is sourced from sustainably harvested sources such as plantation timbers. One of the aims of Wood-U-Like is to educate clients in the benefits of natural timber verses the use of plastics and MDF in furniture manufacture. Wooden furniture, when treated well, can last generations. Wood being a natural product will decay safely when disposed of. This cannot be said of plastics and MDF which will be used as furniture for a few years and take generations to breakdown into its chemical compounds. Wood-U-Like is always prepared to pass on its knowledge of how to prolong the aesthetic and working life of wooden furniture and products to its clients.